Files with csa file extension are associated with the Web Research software for macropool GmbH. A csa file contains documents archive and data. What is csa file? How to open csa files? 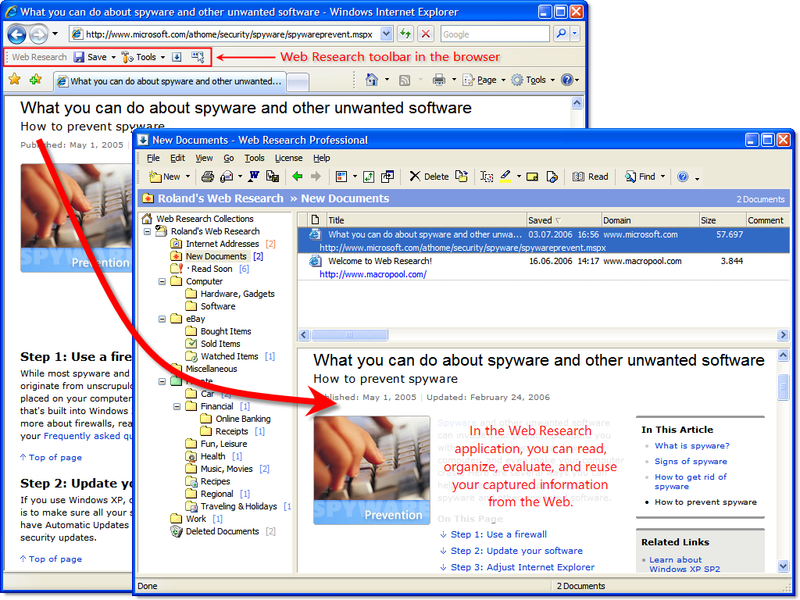 File extension csa is a categorized and fully searchable collection of saved webpages, images, documents or notes created and used by WebResearch program (formerly Content Saver) developed by German company Macropool. Web Research is web archiving utility used to save important information from web sites and stores it on computer. Open WebResearch program and open/import .csa file to work with collection contents. WebResearch can export all data, parts of collection or only one webpage into another package file formats or simple html or mht page. and possible program actions that can be done with the file: like open csa file, edit csa file, convert csa file, view csa file, play csa file etc. (if exist software for corresponding action in File-Extensions.org's database). Click on the tab below to simply browse between the application actions, to quickly get a list of recommended software, which is able to perform the specified software action, such as opening, editing or converting csa files. Programs supporting the exension csa on the main platforms Windows, Mac, Linux or mobile. Click on the link to get more information about Web Research for open csa file action. Programs supporting the exension csa on the main platforms Windows, Mac, Linux or mobile. Click on the link to get more information about Web Research for edit csa file action. Programs supporting the exension csa on the main platforms Windows, Mac, Linux or mobile. Click on the link to get more information about Web Research for view csa file action. Programs supporting the exension csa on the main platforms Windows, Mac, Linux or mobile. Click on the link to get more information about Web Research for convert csa file action. Programs supporting the exension csa on the main platforms Windows, Mac, Linux or mobile. Click on the link to get more information about Web Research for create csa file action. Programs supporting the exension csa on the main platforms Windows, Mac, Linux or mobile. Click on the link to get more information about Web Research for import csa file action. Programs supporting the exension csa on the main platforms Windows, Mac, Linux or mobile. Click on the link to get more information about Web Research for export csa file action. Programs supporting the exension csa on the main platforms Windows, Mac, Linux or mobile. Click on the link to get more information about Web Research for extract csa file action. Programs supporting the exension csa on the main platforms Windows, Mac, Linux or mobile. Click on the link to get more information about Web Research for backup csa file action.